John Law Hume and Thomas Mullin: two Dumfries lads lost on the ill-fated White Star Liner - Titanic. We remember their sacrifice and will explore and celebrate their fascinating lives on our historical walking tour - Heroes of the Titanic. 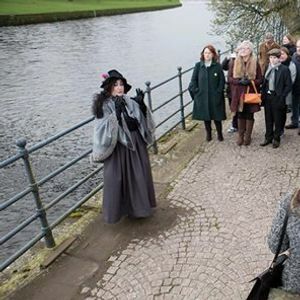 With a focus on Jock Hume, we’ll guide you to pivotal locations around Dumfries and reveal powerful accounts of his life before and after the sinking.